"The finest book on video games yet. Simon Parkin thinks like a critic, conjures like a novelist, and writes like an artist at the height of his powers—which, in fact, he is." —Tom Bissell, author of Extra Lives: Why Video Games MatterOn January 31, 2012, a twenty-three-year-old student was found dead at his keyboard in an internet café while the video game he had been playing for three days straight continued to flash on the screen in front of him. 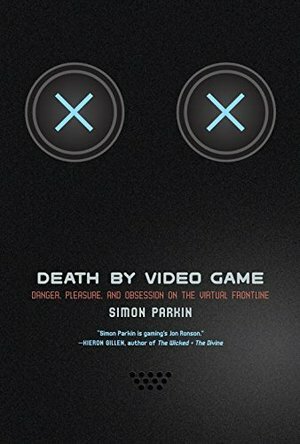 Trying to reconstruct what had happened that night, investigative journalist Simon Parkin would discover that there have been numerous other incidents of "death by video game." And so begins a journey that takes Parkin around the world in search of answers: What is it about video games that inspires such tremendous acts of endurance and obsession? Why do we so thoroughly lose our sense of time and reality within this medium? How in the world can people play them . . . to death?In Death by Video Game, Parkin examines the medical evidence and talks to the experts to determine what may be happening, and introduces us to the players and game developers at the frontline of virtual extremism: the New York surgeon attempting to break the Donkey Kong world record . . . the Minecraft player three years into an epic journey toward the edge of the game's vast virtual world . . . the German hacker who risked prison to discover the secrets behind Half-Life 2 . . .Riveting and wildly entertaining, Death by Video Game will change the way we think about our virtual playgrounds as it investigates what it is about them that often proves compelling, comforting, and irresistible to the human mind—except for when it’s not.From the Hardcover edition.